This paper proposes a new scientific integration of the classical and quantum fundamentals of neuropsychotherapy. The history, theory, research, and practice of neuropsychotherapy are reviewed and updated in light of the current STEM perspectives on science, technology, engineering, and mathematics. New technology is introduced to motivate more systematic research comparing the bioelectronic amplitudes of varying states of human stress, relaxation, biofeedback, creativity, and meditation. Case studies of the neuropsychotherapy of attention span, consciousness, cognition, chirality, and dissociation along with the psychodynamics of therapeutic hypnosis and chronic post-traumatic stress disorder (PTSD) are explored. Implications of neuropsychotheraputic research for investigating relationships between activity-dependent gene expression, brain plasticity, and the quantum qualia of consciousness and cognition are discussed. Symmetry in neuropsychotherapy is related to Noether’s theorem of nature’s conservation laws for a unified theory of physics, biology, and psychology on the quantum level. Neuropsychotheraputic theory, research, and practice is conceptualized as a common yardstick for integrating the fundamentals of physics, biology, and the psychology of consciousness, cognition, and behavior at the quantum level. While the history of neuropsychotherapy can be traced back hundreds of years to prescientific sources of medicine, physics, chemistry, biology, and psychology, it required the advent of STEM (science, technology, engineering, and math) education in our century before a truly experimental theory, combined with the research and applications of neuropsychotherapy, could emerge (Boring, 1950; Ellenberger, 1970; Jensen, 2016; Zilboorg & Henry, 1941). As the name suggests, neuropsychotherapy is based on the integration of talk therapy, consciousness, and cognition, with activity taking place in neurons of the brain, as illustrated in Box 1. As Huth et al. (2016) acknowledge, little is known about the detailed functional and anatomical organization of this semantic network. We therefore propose to provide a short history of the theory, research, and psychological practice of the utilization of this natural semantic mind–brain–body network by introducing what we choose to call a quantum field theory of neuropsychotherapy. Box 1. The classical psychobiology of neuropsychotherapy. Adapted with permission from R. Nave, 2016, http://hyperphysics.phy-astr.gsu.edu/hbase/hframe.html, Department of Physics and Astronomy, Georgia State University, Atlanta. Cover illustration of Nature, April 28, 2016: A semantic atlas of the cerebral cortex. 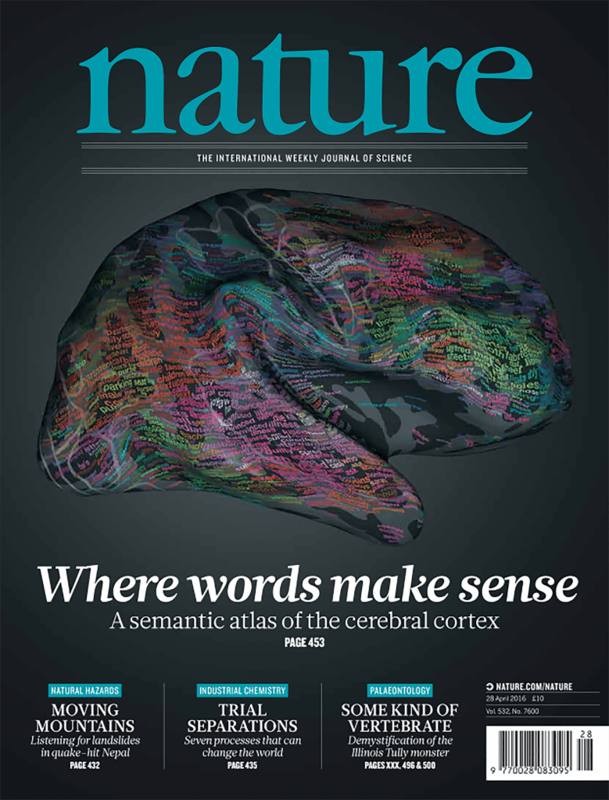 The cover shows the cortical surface of one subject, overlaid with words predicted to cause particularly strong responses at the corresponding cortical location. Word colors indicate semantic categories: For example, green words are mostly visual and tactile concepts, and red words are mostly social concepts; white lines show the outlines of previously known regions of interest. An interactive version of the atlas can be explored at http://gallantlab.org/huth2016/. From “Natural Speech Reveals the Semantic Maps That Tile the Human Cerebral Cortex,” by A. G. Huth, W. A. de Heer, T. L. Griffiths, F. E. Theunissen, and J. L. Gallant, 2016, Nature, 532, pp. 453–458. Reproduced with permission. I was privileged to be a pupil of Burr at Yale. Working at first with Burr and later alone, I was able to show that continuous readings make it possible to distinguish between healthy men and women and those suffering from psychologic disturbances. In 1948, I was also able to demonstrate that the depth of hypnosis can be measured by characteristic variations in the field. . . Despite the obvious importance of the electrodynamic theory of life, it would be as wrong to claim too much for it as too little. We must remember that in addition to field physics there is also particle physics. Burr and Northrop emphasized from the onset that particles in biologic organization both determine and are oriented by the electrodynamic field. In other words, there is a reciprocal causal relationship between fields and particles. These summary statements by Ravitz (2002) comprise the challenge explored in this paper that, with our more recent neuropsychotherapy data, provides a common yardstick for unifying the fundamentals of physics, biology, and the psychology of consciousness at the quantum level. Beginning in 1945, I was trained by Milton H. Erickson, M.D., the world’s foremost authority on hypnosis, at Wayne County General Hospital, Eloise, Michigan, in the most sophisticated, empirical techniques of hypnosis which Erickson (1958) was developing. Erickson’s elegant and imaginative experiments, using maverick procedures, were a great empirical advance in both hypnosis and psychiatry. 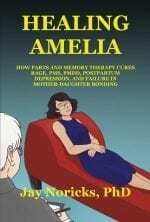 … Field correlates of hypnosis first were presented in Science (1950), followed by the first atlas of hypnotic tracings published by Tracy J. Putnam, M.D., the editor of AMA Archives of Neurology and Psychiatry and Director of Services, Neurological Institute of Columbia Presbyterian Medical Center, in 1951. On August 28, 1959, a more sensitive cathode ray oscilloscope first was used to monitor hypnotic states in Burr’s Yale Medical School office. (pp. 54–55). Figure 1. A direct current (DC) record of catalepsy and hypnosis. This recording is in millivolts (mV) as it originally appeared in the original article (Ravitz, 1950). This early bioelectronics recording is updated with more modern technology later in this paper in our series of case studies that implies how these four stages (labeled Prehypnosis, Hypnosis, Catalepsy, End of Hypnosis by Ravitz) may be a more general process for unifying fundamentals of physics, biology, and the psychology of consciousness at the quantum level. From “Electrometric Correlates of the Hypnotic State” by L. J. Ravitz, 1950, Science, 112, p. 342. Reproduced with permission. Figure 2. Bioelectronic monitoring of DC body potential during hypnosis: The record of a highly intelligent, normal 24-year-old female subject during her first hypnotic induction. Millivolts are recorded on the vertical access and a timescale of 0.5 in./min on the horizontal access: (A) normal default state of consciousness; (B) drop in DC potential during relaxation; (C) momentary response to therapist remarks; (D) characteristically low activity during catalepsy; (E) typical awakening pattern at higher electronic level than (A). From “Experiencing Hypnosis: Therapeutic Approaches to Altered States,” by M. H. Erickson and E. L. Rossi, 1981/2014. Re-prined in E. Rossi, R. Erickson–Klein, and K. Rossi (Eds. ), The Collected Works of Milton H. Erickson (Vol. 12, p. 65). Phoenix, AZ: The Milton H. Erickson Foundation Press. Reproduced with permission. The erratic, fast activity at the beginning of the record (A) is characteristic of normal waking awareness. Every impulse to activity seems related to an upswing, which then drops out as soon as the impulse is carried through. During simple relaxation, meditation, and hypnosis, the record smooths out and usually drops dramatically as the subject gives up any active effort to direct mind or body (B). A few slow upswings are noted, during the beginning of the hypnotic induction, as the subject makes an effort to attend to the therapist’s remarks (C). These drop out as trance deepens, and the record shows a characteristically flat, low plateau with only low-amplitude slow waves (D). With more trance experience, even the low-amplitude activity drops out, and a smooth line record is obtained. As long as the subject remains mentally quiescent with an immobile (cataleptic) body, there are no peaks or valleys in the record. When the subject initiates mental activity or moves, peaks and valleys are usually recorded. The awakening periods are also followed by a typical pattern (E). The waking fast activity usually appears at a higher level than the initial basal waking level. This higher level is maintained for a few minutes until the record comes back to normal. The difficulty with accepting such records as valid measures of trance is that they also appear whenever the subject quiets down during relaxation, meditation, or sleep, whether or not hypnosis has been formally induced. We would therefore offer a two-factor theory of hypnotic experience. First, there must be a state of openness and receptivity wherein subjects are not making any self-directed efforts to interfere with their own autonomous (default) mental activity or the suggestions of the therapist. Ravitz’s measurements, like those in Figure 2, are probably an effective indication (measurement) of this state of quiet (neuropsychotheraputic) receptivity. The second factor might be called “associative involvement,” whereby the hypnotherapist engages and utilizes the subject’s associations, mental mechanisms, and skills to facilitate a therapeutic experience. We regard this process of utilizing a patient’s own mental associations as the essence of suggestion. To be clear, hypnotic suggestion is not a process of insinuating or placing something into the subject’s mind. Rather, therapeutic hypnotic suggestion is the process of helping subjects utilize their own mental associations and capacities and ways that are formally outside the subject’s own usual ego controls. Stupfel’s intuition was an early intimation of the quantum aspect of the oscillatory nature of the circadian and ultradian dynamics of all life cycles. This quantum intuition now motivates our current proposal of how Stupfel’s “biological energetic discontinuity” may underpin dissociation as a fundamental characteristic of naturalistic therapeutic hypnotic experience as well as life cycles in general. Box 3 outlines Maxwell’s four classical equations of electricity (E) and magnetism (H), which were the original theoretical rationale for the Erickson–Ravitz–Rossi electrodynamic quantum field correlates of therapeutic hypnosis. Maxwell’s four electrodynamic field theory equations of divergence and curl (Box 3) are proposed as the mathematical and physical basis of the psychological concepts of dissociation and convergent re-association in therapeutic hypnosis. 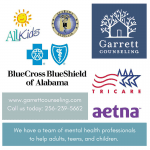 When people experience a physical or psychological shock, the delicate focus of their attention, consciousness, cognition, and behavior tends to diverge or dissociate, which results in symptoms of post-traumatic stress disorder (PTSD). Therapeutic hypnosis can help people reintegrate what was dissociated with the curl or the re-convergence and focusing of their attention, consciousness, cognition, and expectancy. The integration of the languages of mathematics, physics, biology, psychology, and medicine (as shown in Box 1 and Box 3) highlights our STEM perspective for updating traditional cognitive behavioral theory, and research and practice of neuropsychotherapy in general. This STEM review of Maxwell’s (1871) classical four equations of electromagnetism is updated with current mathematical notation to clarify the essential dynamics of the quantum electrodynamic theory of therapeutic hypnosis. The two equations on the left illustrate the Divergence Operator in mathematics, which the authors propose as corresponding to the Dissociation in Hypnosis. The two equations on the right illustrate the Curl Operator in mathematics, which the authors propose as corresponding to the Convergence and Focusing of Attention, Consciousness, Cognition and Expectancy in Therapeutic Hypnosis. Notice how the balanced symmetries between electricity (E) and magnetism (H) in these four equations tell a story about the nature of electromagnetism. 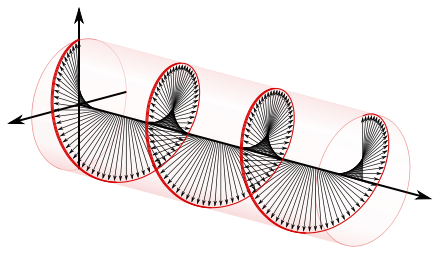 A modern visualization of Maxwell’s 4 equations as a wave or flow of electromagnetism is typically illustrated as the cyclic integration of the divergence and curl operators. The electromagnetic field could be visualized as a self-propagating twisting braid of electric and magnetic energy flowing apart (dissociation) and curling back together (re-association) in the quantum electrodynamics theory of the observer/operator in therapeutic hypnosis. The electromagnetic field is visualized as a self-propagating twisting braid of electric and magnetic energy flowing apart (dissociation) and curling back together (re-association) in the quantum field theory of observer/operator dynamics in therapeutic hypnosis. Physicists describe the harmonic oscillator as a mathematical concept that bridges between the classical dynamics of nature originally formulated by Isaac Newton and the quantum dynamics originated by Max Planck and Albert Einstein. 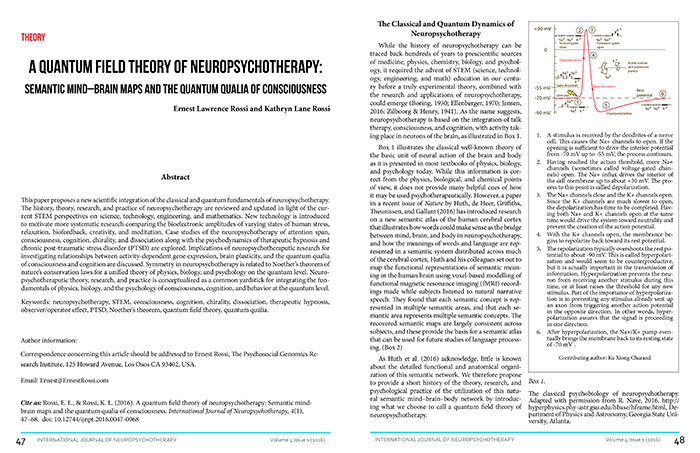 The next section explores how such oscillations (e.g., cycles, rhythms, periodicities, waves, oscillations) of energetic discontinuity (Stupfel, 1992) in biology, behavior, brain plasticity, consciousness, and cognition may be conceptualized as the quantum field correlates of neuropsychotherapy. The spin, or qubit, of course is one of them. In classical logic, everything can be built out of yes–no questions. Similarly, in quantum mechanics, every logical question boils down to a question about qubits. The second basic ingredient of quantum mechanics is the harmonic oscillator. The harmonic oscillator isn’t a particular object like a hydrogen atom or a quark. It’s really a mathematical framework for understanding a huge number of phenomena. This concept of the harmonic oscillator also exhibits in classical physics, but it really comes to the fore in quantum theory . . .
An atom situated in a crystal lattice. If that atom is displaced slightly from its equilibrium position, it gets pushed back within approximately linear restoring force. This motion is three-dimensional and really consists of three independent oscillations. The electric current in a circuit of low resistance often oscillates with a characteristic frequency. The mathematics of circuits is identical to the mathematics of mass attached to springs. Waves. If the surface of a pond is disturbed, it sends out waves. Someone watching at a particular location will see the surface oscillate as the wave passes by. This motion can be described as simple harmonic motion. The same goes for sound waves. To these examples of the harmonic oscillator in the classical/quantum dynamics of nature, this paper adds the circadian and ultradian rhythms of the psychophysiological basis of life on all levels, from mind and behavior to molecules and genes, which were proposed as the fundamental basis of naturalistic therapeutic hypnosis by Lloyd and Rossi (1992, 2008). 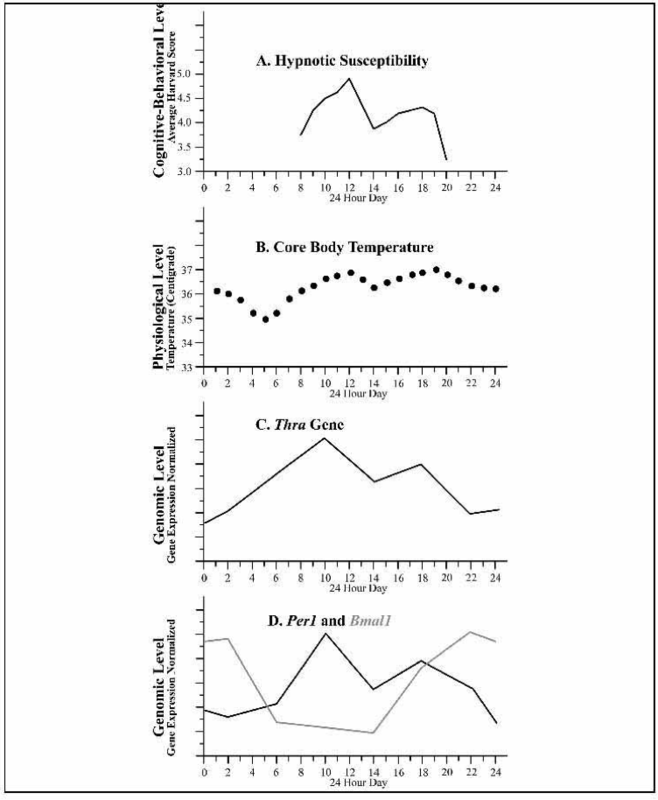 Three circadian and ultradian behavioral examples of independently collected data and graphs prepared by Helen Sing (1992) from the Department of Behavioral Biology at the Walter Reed Army Institute of Research in Washington, DC, are illustrated in Figures 3a, 3b, and 3c (see Rossi & Lippincott, 1992). Figure 3a. An overview of the circadian rhythm (every 24 hours): The ultradian healing response (less than 24 hours) and self-hypnosis in 292 diary recordings of 16 subjects over a 1-week period. Figure 3b. The predominant 180-minute rhythm of rest: The ultradian healing response in the diary group. Figure 3c. The predominant 180-minute rhythm of self-hypnosis: The hypnosis healing response in the diary group. Figures 3a, 3b, and 3c are reproduced with permission from “The Wave Nature of Being: Ultradian Rhythms and Mind–Body Communication,” by E. L. Rossi and B. M. Lippincott, 1992, in D. Lloyd and E. L. Rossi (Eds. 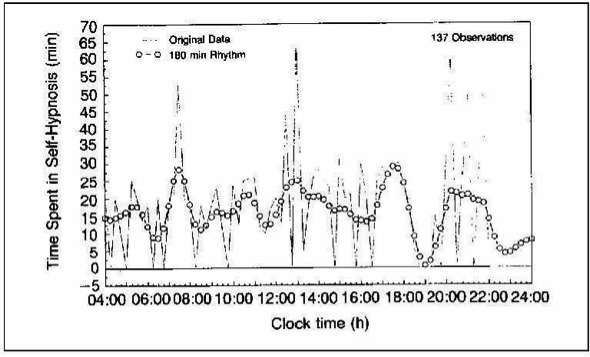 ), Ultradian Rhythms in Life Processes: A Fundamental Inquiry into Chronobiology and Psychobiology (p. 383). New York, NY: Springer–Verlag. Figure 3d. Experimental associations of hypnosis: Hypnotic susceptibility, time of day, core body temperature, and gene expression during hypnosis. From “The Effect of Time of Day on Hypnotizability: A Brief Communication,” by K. J. Aldrich and D. A. Bernstein, 1987, International Journal of Clinical and Experimental Hypnosis, 35, p. 143. Reproduced with permission. The main conclusion to be drawn from the data summarized in Figures 3a, 3b, and 3c is that the 200-year history of therapeutic hypnosis has been vastly oversimplified as suggestion on the purely cognitive/behavioral level. These data, however, are entirely consistent with the RNA/DNA quantum field theory of neuropsychotherapy, which asserts that most, if not all, of the classical phenomenology of hypnosis are expressions of the wave nature of mind–body circadian and ultradian psychobiological oscillations of adaptive homeostasis (Rossi & Lippincott, 1992; Rossi & Rossi, 2016a, 2016b). More fundamental experimental associations between hypnotic susceptibility, time of day, core body temperature, and gene expression by other independent research groups (Aldrich & Bernstein, 1987; Jensen, 2016) are displayed in Figure 3d. These associations have been described as the unification hypothesis of chronobiology in an evolutionary view of mind–body rhythms, stress, and rehabilitation (Rossi, 2004; Rossi et al., 2008; Rossi & Rossi, 2004). A careful study of Figures 3a–d illustrates how they all approximate the mathematical concept of the quantum harmonic oscillator in nature and life, as described by Susskind and Friedman (2014). These empirically based psychophysiological correlates of therapeutic hypnosis could now be recognized as the correlates of eigenfunctions and energy levels formulated in the characteristic equations of quantum field theory (Klauber, 2015; Lancaster & Blundell, 2014). The universality of the harmonic oscillator in the evolution of a unified quantum field theory of physics, biology, and neuropsychotherapy proposes a series of open questions, such as: Will it be possible to develop a mind–gene biofeedback, neuropsychotheraputic device, whereby voluntary conscious mental activity could modulate activity-dependent gene expression and brain plasticity (Rossi & Rossi, 2008)? That is, could top-down consciousness, attention, and expectancy during neuropsychotherapy modulate the psychosocial genomics dynamics of gene expression and brain plasticity (Cozzolino et al, 2014a, 2014b; Rossi & Rossi, 2014a)? Current research on RNA/DNA signaling documents the molecular details of how these epigenomic dynamics actually occur in living cells (Riddihough, 2016). This clarifies how RNA/DNA transcription factors function as an informational bridge between environmental stimuli, consciousness, cognition, activity-dependent gene expression, brain plasticity and behavior (Rossi, 2002, 2007, 2012). Epigenomics brings together a host of independently developed psychobiological fields associated with the foundational quantum mind-body healing dynamics of psychoneuroimmunology, psychoneuroendocrinology, stress, and optimal states of creativity and performance in everyday life as well as neuropsychotherapy (Doidge, 2015; Loewenstein, 1999, 2013; Rossi & Rossi, 2013, 2014a, 2014b, 2015a, 2015b, 2016a, 2016b). The classical view of the dynamics inside living cells (still the view held by most biologists) was of classical particles perusing independent trajectories through intercellular spaces. This vision allowed biochemists and geneticists to wholeheartedly adopt the reductionist program of dissecting the cell into smaller and smaller pieces, with the expectation of gaining a greater and greater level of understanding. However, now biology has reached the level of fundamental particles, we must confront the quantum cell, which has revealed itself as a dynamic mosaic of quantum and classical states. Particles can no longer be considered as independent entities but as the products of internal quantum measurement. Quantum mechanics directs us to look up from the fundamental particles and examine the environment measuring them. Why does this matter? … Measurement of quantum particles is not ever innocuous; it always affects dynamics. Physicists are normally employed to make quantum measurements, and the choices they make … affect the dynamics of the systems they study. But now, we have the living cell as an independent quantum-measuring device that measures its own state, so that the choices it makes about what it wishes to measure will influence its internal dynamics. These carefully considered hypotheses about quantum dynamics as an essential characteristic of all living systems now find further important scientific support from the fundamental role of the weak force (McFadden & Al-Khalili, 2014; Wilczek, 2008, 2015) during the DNA dynamics of transcription and translation, which could be facilitated with neuropsychotherapy, as implied by the following case studies. We now illustrate our proposed quantum electrodynamic field theory of a variety of human experiences with new technology, using a Pico ADC-20/ADC-24 data logger with ± 39 to ± 2500 mV input to update the Erickson–Ravitz archival devices that are no longer available commercially. Preliminary case studies of the electrodynamic quantum field correlates of neuropsychotherapy are presented here to illustrate a number of basic patterns observed with volunteer subjects as a prelude to further studies (Schork, 2015). These patterns are only suggestive of the many open questions that now require more systematic and better controlled STEM research to explore how physics, biology, and psychology interact in our proposed top-down quantum electrodynamic field theory of neuropsychotherapy. Figure 4. A typical quantum field theory recording of hypnosis. Symmetrical bioelectronic amplitudes of ± 40 mV are illustrated on extremes of the vertical axis. The right hand (red) line shows the typical downward slope of a hypnotic (or cataleptic state of quietude and relaxation) induction while the left hand (blue) line records its bioelectronic mirror symmetry. A Basic Quantum Electrodynamic Field Signature of Therapeutic Hypnosis? The original 4-stage pattern of the electrometric correlates of the hypnotic state via catalepsy, illustrated and discussed earlier in Figure 1 (Ravitz, 1950) and Figure 2 (Erickson & Rossi, 1981/2014), is again evident in the top half (red) of Figure 4. This provides us with some assurance that our current neuropsychotherapy technology is replicating the early work of Erickson, Ravitz, and Rossi. Whereas the early recordings from 1950 and 1981 had only a single line measuring electromagnetic amplitude (in mV) between sensors placed on the forehead and the palm of one hand, current technology permits measurements from two or more sensors usually placed on the forehead and the palms of both hands. The lower half (blue) of the recording appears to be a mirror reflection of the top half. What could this left–right hand mirror symmetry mean? We propose this is a manifestation of Noether’s theorem relating the mathematical associations between symmetry and the fundamental conservation laws of nature, discussed below. Mirror reflections of left–right symmetry are referred to as parity and/or chirality in quantum electrodynamic field theory on many STEM levels, from particle physics to biology and psychology (Baggott, 2011; Davies & Brown, 1988; Gleick, 1992; Lancaster & Blundell, 2014). Because of this, the recorded field (area, channel, or space) between the head and left and right hands is conceptualized in this paper as a computational image (Tricoche, MacLeod, & Johnson, 2008) of the boundaries of the quantum electrodynamic field which, in more familiar terms, could be described as attention, focus, the bandwidth of consciousness, and electrodermal activity (Prokasy & Raskin, 1973); or the more recent concepts of biomolecular energy landscapes (Neupane et al, 2016; Wolynes, 2016). Further research is now required to ascertain whether such neuropsychotheraputic amplitudes are useful visualizations for measuring the bits or qubits of information in quantum electrodynamic fields and/or signatures of the various states of consciousness, cognition, and behavior (Loewenstein, 1999, 2013). 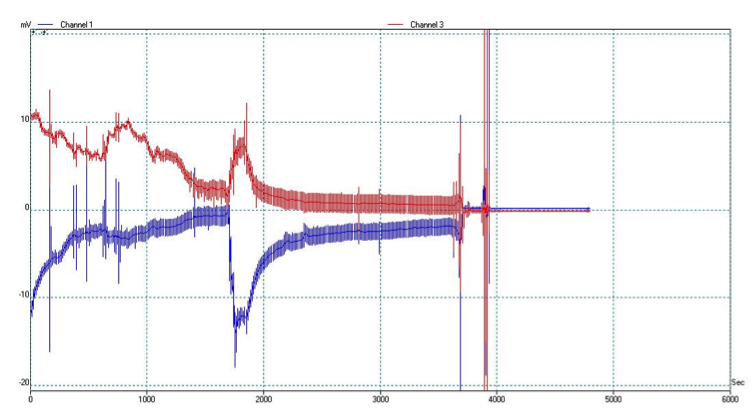 Figure 5 is the electrodynamic recording of a professional woman who had a hemorrhagic stroke about 20 years ago and was now interested in exploring biofeedback for rehabilitating the hemiparesis in her left hand and foot. She was encouraged to “look at and bring together” her emerging bioelectronic recoding, which initially showed a gap of about 20 mV between her left and right hands. Throughout the course of her 50-minute exploratory study, she was gently encouraged to simply bring the emerging top (red) and bottom (blue) parts of her electrometric recording together so that her normal right hand could teach her stroke-impaired left hand to move normally. She was apparently successful—in that the bioelectronic gap between her right and left hand was greatly reduced to about 5 mV by the end of this exploratory session. (The burst of electronic activity recorded in the last 5 minutes and clearly visible in Figure 5 was an artifact due to the large physical movements of terminating the recording.) The woman was warmly congratulated for her success in reducing the gap, but she seemed unimpressed since there was no evident improvement in the paralysis of her left hand in this single session. Nevertheless, the recording in Figure 5 does suggest how to cope with one of the most fundamental problems of applied mathematics, namely: How can subjective states of human consciousness and cognition be mapped with objective measurements? Figure 5. The bioelectronics biofeedback of stroke: Electrodynamic recording of a professional woman who had suffered a hemorrhagic stroke about 20 years ago and who wished to explore biofeedback for rehabilitating the hemiparesis in her left hand. While she was not successful in curing the paralysis of her left hand, in this trial she successfully demonstrated how her subjective consciousness and cognition (her conscious will) could modulate her objectively measured bioelectronic amplitudes. Despite her earlier disappointment, two weeks later the same woman wanted to explore again whether hypnosis could improve her performance. The second recording is shown in Figure 6. Notice how the first 15 minutes of the recording began with the typically downward slope characteristic of hypnotic induction; this was interrupted by a sudden burst of bioelectronic activity at about 17 minutes with a great widening of her quantum electrodynamic field when she apparently “got it,” whatever “it” was. 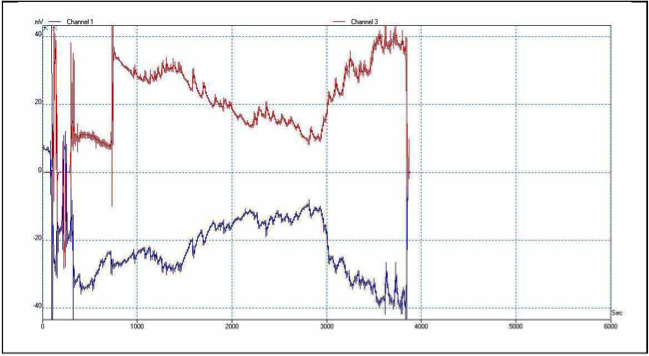 This very striking expansion (widening) was followed by a symmetrical narrowing of her quantum electrodynamic field, between 0 mV and −5 mV for about 20 minutes, which Ravitz and Erickson noted as typical of deep hypnosis (Rossi, Erickson–Klein, & Rossi, 2008, 2015). Such rapid changes in electromagnetic polarity were regarded by Ravitz (1962) as heralding significant shifts in consciousness, cognition, emotions, and behavioral dynamics in normal individuals as well as psychiatric patients. Well-controlled, independent bioinformatics research is now required to assess the significance, reliability, and validity of these early claims. Figure 6. Bioelectronics of hypnosis and biofeedback: Second electrodynamic recording of a professional woman who had suffered a hemorrhagic stroke 20 years previously. The downward slope characteristic of hypnotic induction illustrated here is strikingly different from the biofeedback recording of the same subject in Figure 5. Figure 7. Bioinformatics of Kriya meditation: This example of meditation touched upon a high intensity of bioelectronics activity (60 mV). The first 30 minutes in Figure 7 illustrates the wave nature of an active series of Kriya meditations, which her right hand (red) records at a higher level of gradually ascending activity (beginning at about 50 mV to almost 60 mV), while her left hand (blue) records a lower level (beginning at about 25 mV and topping out at about 30 mV). The last 20 minutes of her self-guided meditation appears to be a resting state (Rossi, 2012), with the intensity level of both sides reduced to about 20 mV (Spetsieris et al., 2015). What does this bioinformatic pattern of her meditation mean? She had recovered from the loss of her immediate term memory with the help of her yoga practice long ago, but now she wondered if an experience of hypnosis would show a meaningful neuropsychotherapy pattern. Figure 8 illustrates her next session when hypnosis was used. After about 5 minutes of random activation due to the attachments and preparations for this exploration, this recording of her electrodynamic field illustrates the typical downward slope of a hypnotic induction from her initial default level of normal waking consciousness at around 50 mV to about 20 minutes of a symmetrical pattern of inner focusing at the ± 20 mV level at the end of her session. Figure 8. Bioelectronics of psychological insight. 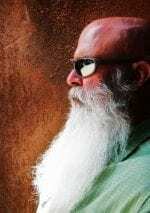 The first half of this recording illustrates the typical downward slope of hypnotic induction, which is very different from Figure 7 when the subject was practicing Kriya meditation. 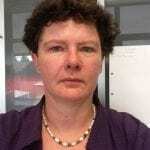 In the second half of this recording she experienced a wider range of bioelectronics activity, which was associated with profound personal psychodynamic insight. Thirty minutes into the session she suddenly announced she had to use the restroom. When she returned the electronic sensors were reattached to her forehead and hands. She then spontaneously and serenely poured forth with the most intimate personal psychodynamic history of her early childhood abuse, adolescent identity struggles, and a hero’s journey for a place in the professional world. All this took place with absolutely no prompting from the astonished authors of this paper who were both present in all these exploratory sessions with her but had previously never heard about her abusive childhood. When questioned about this, she demurely responded that she had always known about the abuse but somehow or other never realized its significance. Notice the widening of her bioelectrodynamic field in the last half of the recording: Is this a correlate of the widening of her consciousness, cognition, and self-awareness facilitated with a spontaneous review of her childhood abuse? Notice the left- and right-hand symmetry at the zero level of her recording during the last 10 minutes of quiet nonverbal serenity and rest, when neither she nor the authors uttered a single word. Does this imply she was really finished or at least satisfied with her self-directed neuropsychotheraputic work for now? Figure 9. Symmetrical bioelectronics of consciousness (Rossi, 2002; Rossi & Rossi, 2016a, 2016b). Notice the peaking amplitude in the middle of her recording, which apparently recorded an excited Aha! experience (Stage 3) of the 4-stage creative cycle (Rossi, 2007, 2012). These observations suggest how this recording may illustrate the bioelectronic correlates of the 4-stage experience of creative consciousness and cognition during neuropsychotherapy. Stage 1 is the normal default state of ordinary consciousness at about 10 minutes. The initial neuropsychotheraputic drop of more than 20 mV in Stage 2 is the typical indication of an inner focusing of attention and expectancy for about 15 minutes. In this particular recording, an ascent with a series of 2 or 3 rising peaks for about 10 minutes then culminated with an Aha! peak at Stage 3. 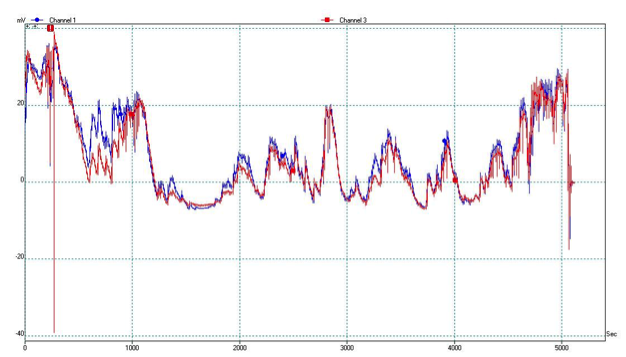 This was followed by a series of 3 descending peaks for about 15 minutes when the subject was apparently reinforcing her memory, which culminated in the characteristic Stage 4 peak that was slightly higher (at about 25 mV) than her initial default state. We propose that the type of neuropsychotheraputic symmetry illustrated by Figure 9 is an integration of the classical/quantum interfaces of physics, biology, and psychology. Amalie Emmy Noether (1882–1935), one of the leading mathematicians of her time, made fundamental contributions to our current conception of fields, algebra, and equations. In physics, Noether’s theorem relates the mathematics of symmetry to the fundamental laws of nature—the conservation of energy and linear and angular momentum as well as the conservation of electric charge. This mathematical perspective suggests that modern theory and research in neuropsychotherapy could make important contributions to a unified theory of the classical/quantum interfaces between physics, biology, and psychology (Halpern, 2015). Symmetry in human neuropsychotherapy is conceptualized here in terms of Noether’s theorem of nature’s conservation laws for a unified theory of physics, biology, and psychology on the quantum level. The neurosurgeon Walter Penfield (1891–1976) created the original well-known image of the “human homunculus,” which illustrated what we would look like if our body parts were as big as the brain space they take up. We have redrawn the Penfield image (Figure 10) to integrate our conception of the 4-stage creative cycle of the observer/operator in psychology, which is consistent with the Penrose (1994, 2004) and Cohen-Tannougji (1993) perspectives of the quantum/classical horizons of consciousness and cognition in the neuropsychotherapy of the mind/brain. Figure 10. Bioelectronics cartoon of the observer/operator: Integration of the top-down and bottom-up approaches to the bioelectronics of physics, biology, and psychology adapted from Walter Penfield’s original concept of the mind–brain–body homunculus. Note how the 4-stage creative cycle of subjective human experience: Stage 1. Observation; Stage 2. Incubation (Inner Work); Stage 3. Aha! (Insight); and Stage 4. Reintegration, is objectively measured by bioelectronic amplitudes in a computer. The oversized hands, lips, and tongue—the main sensory communication channels of human communication—mirror the actual semantic mind–brain space evolution has selected for over at least 4 billion years. You believe in the God who plays dice, and I in complete law and order in a world that objectively exists, and which I, in a wildly speculative way am trying to capture. I firmly believe, but I hope that someone will discover a more realistic way, or rather a more tangible basis than it has been my lot to do. Even the great initial success of the quantum theory does not make me believe in the fundamental dice game, although I am well aware that your younger colleagues interpret this as senility. … Either God is playing dice or He’s playing a deeper game that we have yet to fathom. We now propose that this deeper game of integrating the quantum world view of physics and biology is currently emerging with new insights into uncertainty, expectancy, and the observer/operator effect in neuropsychotherapy. It was a difficult problem for physics to realize that the inner mind–brain observer could interfere with the observed in the outside world. In other words, the so-called objective scientific measurements of the outside world are dependent on the perceptions of the inner subjective world of psychology. We now propose that the physicist’s problem of quantum observations (so-called weird or paradoxical measurements) may be transformed into an opportunity for neuropsychotherapy that we propose to call the observer/operator effect, illustrated above in Figure 10. The observer/operator effect is a central challenge for an integrative science of neuropsychotherapy: Making novel or highly salient observations on the classical/quantum (consciousness/unconsciousness) interface automatically operates on the molecular–epigenomic level of brain plasticity to update and change consciousness, cognition, expectancy, and behavior. A summary schematic of the cyclic classical to quantum and the quantum to classical transitions of consciousness and cognition previously published in detail (Rossi, 2002; Rossi & Rossi, 2016a, 2016b) is illustrated here in Figure 11. Figure 11. The quantum observer/operator effect: The communication cycle that underpins the consciousness/unconsciousness transitions experienced in psychology: 1. Observing consciousness; 2. Classical to quantum transitions of mirror neurons; 3. RNA to DNA epigenomic brain plasticity transitions; and 4. Quantum to classical transitions on “The Road to Reality” (Penrose, 2004), translational medicine and psychology (Rossi, 2002, 2012; Rossi & Rossi, 2016a, 2016b). The classical to quantum transition in Stage 2 underpins psychological transition from consciousness to unconsciousness in cognition and behavior. The quantum to classical transition in Stage 4 underpins the shift back from unconsciousness to consciousness in cycles of cognition and behavior. These horizons between the classical (conscious) and quantum (unconscious) transitions of normal everyday life have been aptly described (Cohen-Tannoudji, 1993; Penrose, 1994, 2004; Stewart, 1989, 2012). The upshot for a neuropsychotherapy of consciousness/unconsciousness (classical/quantum) transitions experienced in everyday life as well as via counseling, meditation, coaching, mindfulness, translational medicine, and so forth is that any novel and numinous (Otto, 1923/1958) conscious observations that are made by the therapist and/or the patient automatically operate unconsciously to transform both of them on the quantum level (Rossi, 2002; Rossi & Rossi, 2014b, 2016a). It may initially only be a small quantum qualia of sensation, perception, and meaning in subjective experience and/or transference, but we propose that amplifications of these quantum qualia of psychological transformation can be causal in mediating objectively measured RNA/DNA cascades of epigenetic activity-dependent gene expression and brain plasticity that underpins new states of consciousness, cognition, and behavior (Doidge, 2015; Rossi, 2002, 2004, 2007, 2012). Over the past century, quantum field theory has become the most accurate science on atomic as well as cosmic scales of observation and measurement. In quantum mechanics, quantities such as energy and mass are not continuous; instead they come in discrete lumps, or quanta. Paradoxically these quanta have dual wave–particle identity, described mathematically by a quantum mechanical wave–function equation that is supposed to represent something existing in outside reality. A recent school of thought called quantum Bayesian (Caves, Fuchs, & Schack, 2001; Fuchs, 2001, 2010, 2011, 2012), however, reinterprets the wave function as a subjective psychological belief system governed by the rules of Bayesian statistics, so that the so-called mysterious and weird physical paradoxes of quantum mechanics vanish. As we have already noted, the physicist’s problem of paradoxical quantum observations (measurements) may be transformed into an opportunity for neuropsychotherapy and psychology by the observer/operator effect. The upshot for neuropsychotherapy is that any novel and numinous observation that is made by people in positive empathic relationships automatically operates to transform activity-dependent epigenetic gene expression and brain plasticity, which underpins new therapeutic states of creative consciousness, cognition associated with rewarding emotional experience, and social relationships (Rossi, 2002, 2012; Rossi & Rossi, 2016a, 2016b). 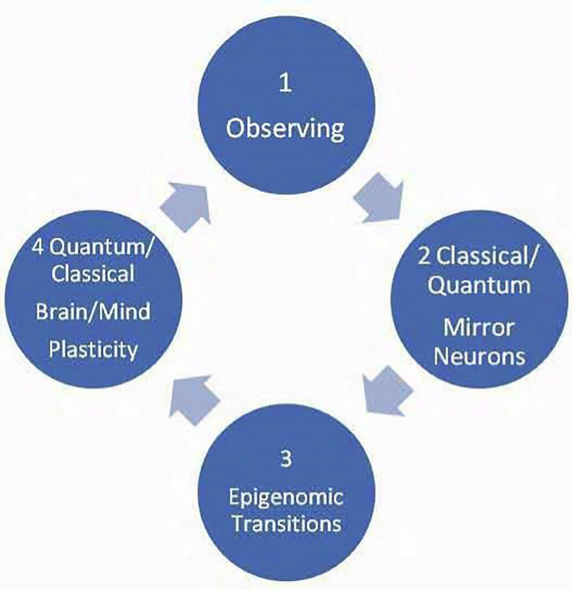 The STEM concepts of the quantum electrodynamic field theory of bioinformatics, which originated in the pioneering work of Northrop, Burr, Erickson and Ravitz three generations ago, has been enriched with modern bioelectronic recordings of what we would regard as the span of attention, the focus of concentration, the bandwidth of consciousness, mental activity, electrodermal activity, the mind–body information channel capacity or, more generally, mind–brain maps and the quantum qualia of creative consciousness. Our research review implies that modern quantum field theory is entirely consistent with and greatly extends the foundational details of Lankton’s (2015) classical states of consciousness (SoC) model of therapeutic hypnosis and its induction. Indeed, quantum field theory conceptualizes subjective states of consciousness (SoCs) as objectively measured quantized fields of cognition. We now may ask open questions about how evolution selected for the quantum field theory dynamics of gene expression, brain plasticity, behavior, and their associated quantum qualia of consciousness, in the SoC model of hypnosis (Lankton, 2015; Rossi, 2012; Rossi & Rossi, 2016a, 2016b). Why do we have consciousness in the first place? What adaptive value could the highly sensitive quantum qualia of the electrodynamic fields of subjective consciousness in neuropsychotherapy possibly have? Why are we not unconscious zombies relying on blind and brute bottom-up DNA epigenetic molecular mechanisms for survival (Chalmers, 1996; Dennett, 1991; Loewenstein, 1999, 2013; McFadden & Al-Khalili, 2014; Nørretranders, 1998; Pekala, 2015)? Are the STEM-inspired quantum electrodynamic fields illustrated in this paper meaningful in terms of the seemingly eternal philosophical debates about the nature and utility of consciousness, cognition, dream, emotions, fantasy, subjective belief, and free will? Could the quantum field theory observer/operator bioelectronic recordings of novel and subjective quantum qualia of human cognition actually be correlates of objectively measured activity-dependent epigenetic expression and brain plasticity in creating new consciousness and self-identity that are apparently lost in Alzheimer’s disease, for example (Rossi & Rossi, 2014a, 2014b, 2015a, 2015b)? Indeed, does the intense focusing on the quantum qualia of subjective human experience in neuropsychotherapy really facilitate the causal efficacy of the top-down holistic approaches to healing and rehabilitation optimized by the art, beauty, and truth in the cultural rituals of meditation, spiritual rituals, and the many styles of therapeutic mindfulness throughout human history? Could integration of the classical/quantum cyclic dynamics of physics, biology, and psychology provide a unified update of the von Neumann & Morgenstern (1953/2007) game model of human behavior? Recall how these authors carefully discussed one of the most fundamental problems of applied mathematics: How can subjective states of human consciousness, cognition, and experience be mapped with objective measurements? 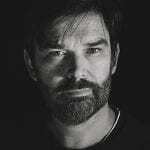 Our case studies suggest how a new generation of neuropsychotherapy research could scientifically pursue this integration of the subjective experiences and objective measurements of physics, biology, and psychology with semantic mind–brain maps of the quantum qualia of creative human consciousness. The STEM perspective of science, technology, engineering, and mathematics provokes profound but still poorly understood open questions about the quantum nature of bioinformatics in physics, biology, and neuropsychology. Current bioelectronic technology is illustrated for implementing a proposed quantum field theory to integrate research on activity-dependent epigenomics, brain plasticity, behavior, consciousness, cognition, dissociation, expectancy, and the quantum qualia of neuropsychotherapy. This paper proposes that the physicist’s problem of paradoxical quantum observations (measurements) may be transformed into an opportunity for neuropsychotherapy called the observer/operator effect. Under appropriate conditions, bioelectronic amplitudes can be objective correlates of subjective states of creative consciousness and cognition facilitated with neuropsychotherapy. It should not escape our notice that this STEM perspective of neuropsychotherapy could support a new quantum-level integration of fundamental research in physics, biology, and psychology for the objective measurement and optimization of human behavior, consciousness, and therapeutic cognition. Aschoff, J., & Gerkema, M. (1985). On diversity and uniformity in ultradian rhythms. In H. Schulz & P. Lavie P (Eds. 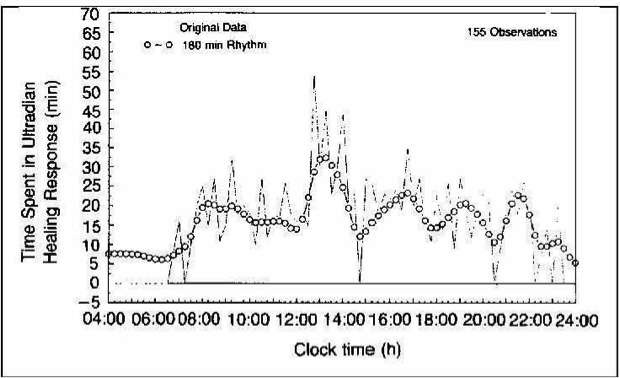 ), Ultradian rhythms in physiology and behavior (pp. 321-334). New York, NY: Springer. Baggott, J. (2011). The quantum story: A history in 40 moments. New York, NY: Oxford University Press. Boring, E. G. (1950). A history of experimental psychology. New York, NY: Appleton–Century–Crofts. Burr, H.S., & Northrop, F.S.C. (1935). The electrodynamic theory of life. Quarterly Review of Biology, 10, 322–333. Cohen–Tannoudji, G. (1993). Universal constants in physics. New York, NY: McGraw–Hill. Cozzolino M., Iannotti, S., Castiglione, S., Cicatelli, A., Rossi, K. & Rossi, E. (2014a). A bioinformatic analysis of the molecular–genomic signature of therapeutic hypnosis. The International Journal of Psychosocial Genomics: Consciousness and Health Research, 1(1), 6–11. Cozzolino, M., Tagliaferri, R., Castiglione, S., Fortino, V., Cicatelli, A., De Luca, P., . . . Rossi, E. (2014b). The creative psychosocial and cultural genomic healing experience: A new top-down epigenomic psychotherapeutic protocol. The International Journal of Psychosocial Genomics: Consciousness and Health Research, 1(1), 18–26. Davies, P. C. W., & Brown, J. (Eds.). (1988). Superstrings: A theory of everything? New York, NY: Cambridge University Press. Dennett, D. C. (1991). Consciousness explained. Boston, MA: Little, Brown and Company. Ellenberger, H. F. (1970). The discovery of the unconscious: The history and evolution of dynamic psychiatry. New York, NY: Basic Books. Erickson, M. H. (1958). Naturalistic techniques of hypnosis. The American Journal of Clinical Hypnosis, 1(1), 3–8. Fuchs, C. (2011). Coming of age with quantum information: Notes on a Paulian idea. Cambridge, United Kingdom: Cambridge University Press. Gleick, J. (1992). Genius: The life and science of Richard Feynman. New York, NY: Vintage. Gregory, B., & Gregory B. (2014). The integration of quantum physics in the transformation of consciousness in individuals, couples and organizations. Journal of Psychology and Psychotherapy Research, 1, 50–68. Halpern, P. (2015). Einstein’s dice and Schrödinger’s cat: How two great minds battled quantum randomness to create a unified theory of physics. New York, NY: Basic Books. Klauber, R. D. (2015). Student friendly quantum field theory: Basic principles and quantum electrodynamics (2nd ed.). Fairfield, Iowa: Sandtrove Press. Krauss, L. M. (2012). A universe from nothing: Why there is something rather than nothing. New York, NY: Free Press. Lancaster, T., & Blundell, S. (2014). Quantum field theory for the gifted amateur. Oxford, United Kingdom: Oxford University Press. Lloyd, D., & Rossi, E. (Eds.). (1992). Ultradian rhythms in life processes: An inquiry into fundamental principles of chronobiology and psychobiology. New York, NY: Springer–Verlag. Lloyd, D., & Rossi, E. (Eds.). (2008). Ultradian rhythms from molecules to mind: A new vision of life. New York, NY: Springer. Loewenstein, W. R. (1999). The touchstone of life: Molecular information, cell communication, and the foundations of life. New York, NY: Oxford University Press. McFadden, J. (2000). Quantum evolution: How physics’ weirdest theory explains life’s biggest mystery. New York, NY: Norton. McFadden, J. & Al-Khalili, J. (2014). Life on the edge: The coming of age of quantum biology. New York, NY: Crown. Nave, R. (2016). http://hyperphysics.phy-astr.gsu.edu/hbase/hframe.html [Website]. Department of Physics and Astronomy, Georgia State University, Atlanta. Neupane, K., Foster, D., Dee, D., Yu, H. Wang, F., & Woodside, M. T. (2016, April 8). Direct observation of transition paths during the folding of proteins and nucleic acids. Science, 352, 239–242. Nørretranders, T. (1998). The user illusion: Cutting consciousness down to size (J. Sydenham, Trans.). New York, NY: Viking. Penrose, R. (1994). Shadows of the mind: A search for the missing science of consciousness. New York, NY: Oxford University Press. Penrose, R. (2004). The road to reality: A complete guide to the laws of the universe. New York, NY: Knopf. Prokasy, W. F., & Raskin, D. C. (Eds.). (1973). Electrodermal activity in psychological research. New York, NY: Academic Press. Ravitz, L. J. (1950). Electrometric correlates of the hypnotic state. Science, 112, 341–342. Ravitz, L. J. (1962). History, measurement and applicability of periodic changes in the electromagnetic field in health and disease. American Archives of New York Science, 98, 1144–1201. Ravitz, L. J. (1973). Electrodynamic man encapsulated. Paper presented at the 16th annual meeting of the American Society of Clinical Hypnosis, Toronto, Canada. Ravitz, L. J. (2002). 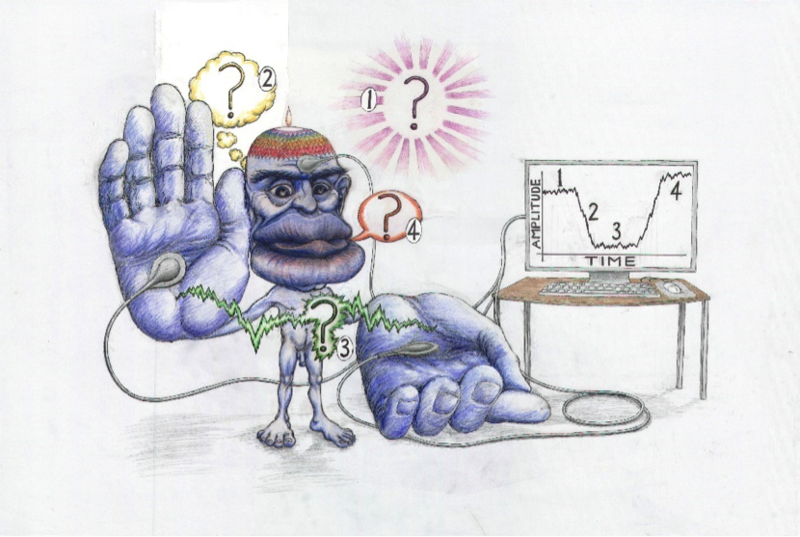 Electrodynamic man: Electromagnetic field measurements in biology, hypnosis and psychiatry. Danbury, CT: Rutledge Books. Riddihough, G. (2016). Signals in RNA: Introduction to special issue. Science, 352, 1406–1420. Rossi, E. L. (1986). The psychobiology of mind–body healing: New concepts of therapeutic hypnosis. New York, NY: Norton. Rossi, E. L. (2002). The psychobiology of gene expression: Neuroscience and neurogenesis in hypnosis and the healing arts. New York, NY: Norton. Rossi, E. L. (2004). A bioinformatics approach to the psychosocial genomics of therapeutic hypnosis. Hypnos, 31(1), 15–21. Rossi, E. L. (2007). The selected papers of Ernest Lawrence Rossi: Vol. 1. 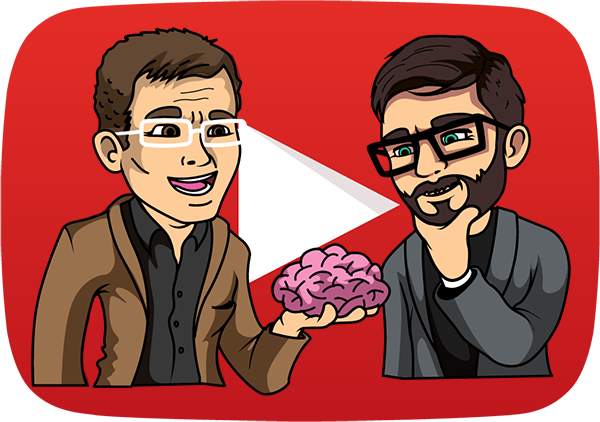 The breakout heuristic: The new neuroscience of mirror neurons, consciousness, and creativity in human relationships. Phoenix, AZ: The Milton H. Erickson Foundation Press. Rossi, E. L. (2012). The selected papers of Ernest Lawrence Rossi: Vol. 2. Creating consciousness: How therapists can facilitate wonder, wisdom, truth, and beauty. Phoenix, AZ: The Milton H. Erickson Foundation Press. Rossi, E. L., Erickson–Klein, R., & Rossi, K. (Series Eds.). (2008–2015). The Collected Works of Milton H. Erickson. Phoenix, AZ: The Milton H. Erickson Foundation Press. Rossi, E. L., Erickson–Klein, R., & Rossi, K. (2015). 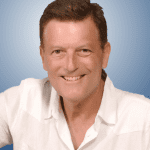 The Mind-Body Healing Experience: The MHE Protocol. In E. Rossi, R. Erickson–Klein, & K. Rossi (Eds. ), The Collected Works of Milton H. Erickson (Vol. 15). Phoenix, AZ: The Milton H. Erickson Foundation Press. Rossi, E. L., Iannotti, S., Cozzolino, M., Castiglione, S., Cicatelli, A., & Rossi, K. (2008). A pilot study of positive expectations and focused attention via a new protocol for therapeutic hypnosis assessed with DNA microarrays: The creative psychosocial genomic healing experience. Sleep and Hypnosis, 10(2), 39–44. Rossi, E. L., & Lippincott, B. M. (1992). The wave nature of being: Ultradian rhythms and mind–body communication. In D. Lloyd and E. L. Rossi (Eds. ), Ultradian rhythms in life processes: A fundamental inquiry into chronobiology and psychobiology (pp. 371–402). New York, NY: Springer–Verlag. Rossi, E. L., & Nimmons, D. (1991). The 20-minute break: Reduce stress, maximize performance, and improve health and emotional well-being using the new science of ultradian rhythms. Los Angeles, CA: Jeremy Tarcher. Rossi, E. L., & Rossi, K. L. (2008). Open questions on mind, genes, consciousness and behavior: The circadian and ultradian rhythms of art, beauty, and truth in creativity. In D. Lloyd & E. L. Rossi (Eds. ), Ultradian rhythms from molecules to mind: A new vision of life (pp. 391–411). New York, NY: Springer. Rossi, E. L., & Rossi, K. L. (2013). Creating new consciousness in everyday life: The psychosocial genomics of self-creation. [Video book]. Available from Amazon.com. Rossi, E. L., & Rossi, K. L. (2014a). An evolutionary RNA/DNA psychosocial genomic theory of the transformations of consciousness: The quest for therapeutic mind/gene search algorithms. The International Journal for Transformations of Consciousness, 1, 1–20. Rossi, E. L., & Rossi, K. L. (2015a). Optimizing the human condition with psychosocial genomic star maps: Implicit processing heuristics in the 4-stage creative cycle. The International Journal of Psychosocial and Cultural Genomics: Consciousness & Health Research, 1(2), 5–15. Rossi, E. L., & Rossi, K. L. (2016a). A quantum field theory of life and consciousness: The quantum heat engine of psychosocial genomics. International Journal of Psychosocial and Cultural Genomics: Consciousness and Health Research, 2(1), 11–34. Rossi, E. L., & Rossi, K. L. (2016b). How quantum field theory optimizes neuropsychotherapy. The Neuropsychotherapist, 4(4), 14–25. Rossi, E. L., Rossi, K. L., Cozzolino, M., & Joly, J. (2015). The quantum field theory of psychosocial genomics: Quantum Bayesian notation for therapeutic consciousness and cognition. The International Journal of Psychosocial and Cultural Genomics: Consciousness and Health Research, 2(1), 11–25. Schweber, S. S. (1994). QED and the men who made it: Dyson, Feynman, Schwinger, and Tomonaga. Princeton, NJ: Princeton University Press. Sing, H. C. (1992). Human Biological Rhythms: The search for ultradians in movement activity behavior. In D. Lloyd and E. L. Rossi (Eds. ), Ultradian rhythms in life processes: An inquiry into fundamental principles of chronobiology and psychobiology (pp. 339–370). New York, NY: Springer–Verlag. Stapp, H. P. (1993). Mind, matter, and quantum mechanics. New York, NY: Springer–Verlag. Spetsieris, P. G., Ko, J. H., Tang, C. C., Nazem, A., Sako, W., Peng, S., . . . Eidelberg, D. (2015). Metabolic resting-state brain networks in health and disease. PNAS, 112, 2563–2568. doi:10.1073/pnas.1411011112. Stewart, I. (1989). Does God play dice? The new mathematics of chaos. New York, NY: Wiley–Blackwell. Stewart, I. (2012). In pursuit of the unknown: 17 equations that changed the world. New York, NY: Basic Books. Susskind, L., & Friedman, A. (2014). Quantum mechanics: The theoretical minimum. New York, NY: Basic Books. Wilczek, F. (2002). A piece of magic: The Dirac equation. In G. Farmelo (Ed. ), It must be beautiful: Great equations of modern science (pp. 132–160). London, United Kingdom: Granta Books. Wilczek, F. (2008). The lightness of being: Mass, ether, and the unification of forces. New York, NY: Basic Books. Zilboorg, G., & Henry, G. W. (1941). A history of medical psychology. New York, NY: Norton. Correspondence concerning this article should be addressed to Ernest Rossi, The Psychosocial Genomics Research Institute, 125 Howard Avenue, Los Osos CA 93402, USA. I urge everyone to have a go at reading this paper. I am at an advantage as a mentee of Rossi for the past decade, but the mental gymnastics required for this article give you the stretch required to release so much more interesting thinking – and feeling. Ernest Rossi and I recently did an experiment of a bioelectric recording of two subjects (Ernest and myself). We need more work to know exactly what is going on, but there is no doubt that something is going on and that we can have a cognitive appreciation of that “something”. Be in on this work at its beginning. I wonder where it will take us? Estaría felíz de cooperar desde acá. 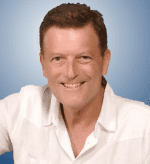 I met Rossi quite a few years ago in Phoenix and later in Madrid: I admire his persona and his intelect as well as the work he has been doing both as a neurobiologist and as an inovative neuropsychotherapist, not to mention clinical hypnosis. We believe in collaborative work, in case you need us do let us know. Hi there, Dr Art O’Malley! How is your book progressing? I would be interested in having any publications you may may have in our scientific areas of mutual interest. The book is finished and I am sending it to the publishers Routledge today. I would be privileged if you would agree to write a foreword for the book. I would be happy to write a foreword to your book if I can understand it.